Long distance non-emergency transportation includes air ambulance, Motorcoach vehicles and specially designed SUVs and vans. No matter what type of vehicle selected, patients can rest at ease during the trip with comfort control temperatures and transportation amenities. Meals are prepared and served while traveling and patients have the option of cold or hot meals. Emergency transportation is usually an ambulance or fire rescue truck and every second is frantic. Non-emergency transportation is stress-free and allows patients to forget about their medical worries for awhile. Those with special needs or a disability can travel without restrictions. All burden are eased during the long distance trip and there’s a trained staff to assist them with any medical equipment, as necessary. Private non-emergency transportation is the same as a private ambulance. A private ambulance is a contractor would work with hospitals and nursing homes and transports non-emergency patients to another facility when needed. However, the ambulance is just one of many transport vehicles. The long distance trip for patients can be either in one of the specially equipped vehicles or the private ambulance, at the request of either the physician or the patient. When taking a private transport keep in mind that there are travel requirements that need to met first. To be considered a candidate for long distance transportation, a patient must need to travel over 200 miles. And there can’t be any reliance on outside equipment for life-sustaining maintenance. In other words, patients who are near death or comatose, would not be good candidates for this type of transportation. Even if they need to travel to a different medical facility, out of state. As indicated, travel by private transport is usually anywhere from 300-3000 miles. Not every patient who needs transportation for a trip over 200 miles, without a life-threatening medical condition is eligible for transport. Only those who are considered stable and will not require emergency medical treatment/intervention during the trip. Private non-emergency transportation is a very reliable, so that’s not the reason they won’t transport emergency patients. It’s because the vehicles aren’t equipped with life-sustaining equipment. Critically ill and some terminally ill patients, are not considered stable and therefore wouldn’t be ideal candidates for private transport. Although the vehicles used to transport patients are equipped with additional equipment such as nebulizers, oxygen, defibrillators, wound dressings, diabetic supplies, and refrigeration. The staff members are medically trained and great care is taken in regards to the patients’ health, safety and comfort. But, this isn’t the service for emergency situations. 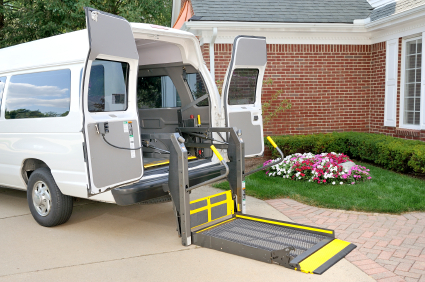 Transportation services are available for the elderly, those with physical disabilities, and patients with non-life threatening illnesses and chronic medical conditions. Services include non-stop long distance travel, with bedside to bedside care and transport provided. Patients are given supervised care while traveling and the services include pick-up and drop-off.